Luciano Pellegrini (on the left) began his successful career in the States in 1985. He brought his vision of Italian cooking to Las Vegas when Valentino, one of the leading restaurants in the city’s culinary revolution, debuted in 1999.Trained by some of the most revered chefs in Italy, Pellegrini, recipient of the coveted James Beard award, is recognized and respected among his peers, journalists and guests as one of the the best chefs in the city of Las Vegas.Luciano Pellegrini started the Gelato project in 2010 while running a successful restaurant operation at Valentino inside the Venetian Resort and Casino. Soon enough the new endeavor became a hit and the need of a larger manufacture company became real.In 2013, after 13 years of providing some of the best Italian dishes in Las Vegas, Valentino Restaurant closed doors, and it was only natural for Luciano Pellegrini to expand to a larger location. 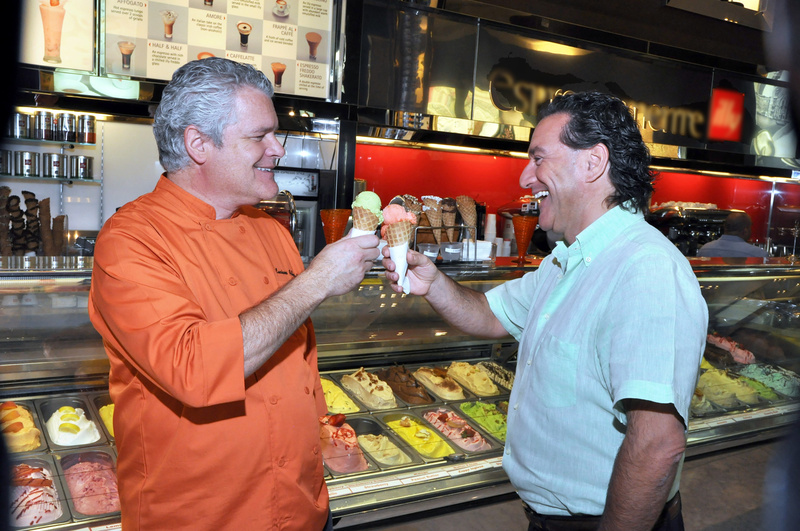 He partnered with a long time friend Salvatore Cesareo, whose 30 years experience in the food industry as importer and distributor of fine foods complimented both Luciano’s desire to keep on creating an authentic Gelato, and his love and passion for quality and service. 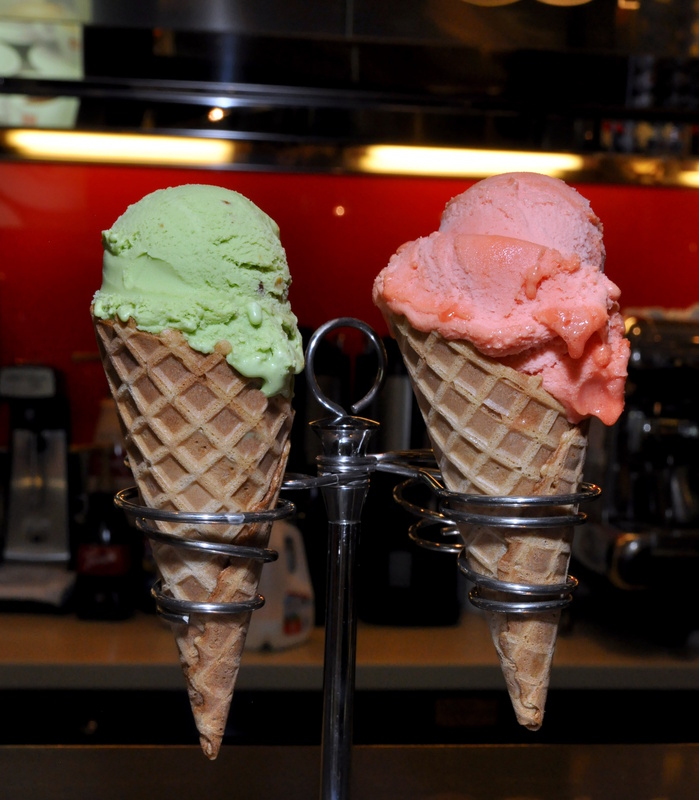 Together they opened Dolcevita Gelato US located at 6625 South Valley View Blvd. suite 312, Las Vegas Nevada.